Napa and Sonoma are fine for a weekend trip -- if you enjoy ridiculous crowds and buses full of tourists. But in the same time it takes you to get to Napa (be honest -- it’s two hours with traffic), you can instead get to Mendocino County: a 4,000-square-mile beer-drinkers paradise (THAT HAS AWESOME WINE TOO). 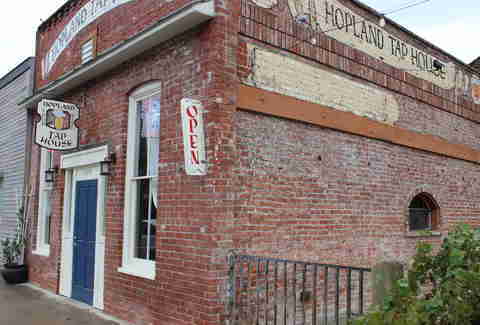 Hopland is only 100 miles from SF, so in under an hour and 45 minutes you can be enjoying one of the eight microbrews on tap outside in the Hopland Tap House’s beer garden or enjoying one of the eight microbrews on tap inside the 100-year-old building, which comes equipped with shuffleboard and darts. Thanks to food and cheesecake (pair it with a Death & Taxes Black Beer) that belie the crumbling exterior, you’re going to have a hard time leaving this super-chill local spot. 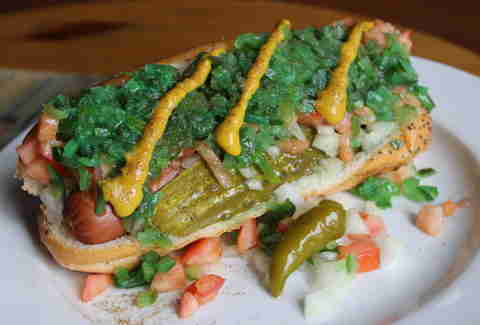 Pro tip: the Chicago dog with all the fixin's is hands-down the most delicious one you’ll find outside of Illinois. Just down the road from the Hopland Tap House is this historic farmhouse (built in 1880), which comes with a huge wrap-around porch where you can get your tasting on. When that gets old (does that ever get old? ), there’re also horseshoes and bocce. 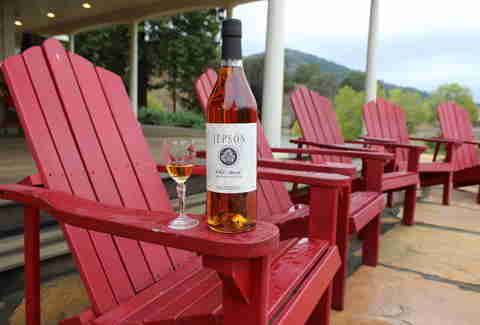 Bonus: Jaxon Keys is the only winery in the US with an alembic still, which means -- that’s right -- brandy! They produce three individual, single-vineyard estate spirits that range in age from 5 to 25 years. Pro tip: Jaxon Keys is forbidden by law to pour their own brandy -- unless you have an appointment. Call at least 15 minutes before you show up to ensure that you get to taste the gold medal winners. First fun fact: the Mendocino Brewing Company was the first brewpub in California and the second in the entire US. Second fun fact: it used to be found in the spot where Hopland Tap House is now, but they got too big for the space and moved to Ukiah in 1997, where they now have a state-of-the-art facility. Order the sampler to get a taste of all 18 beers on tap. 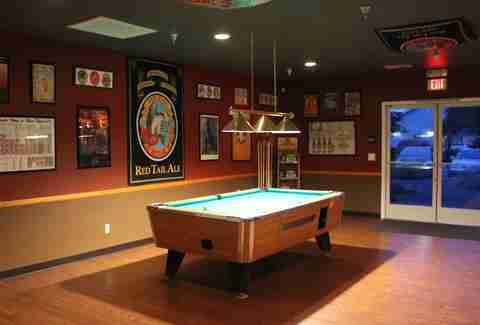 Oh, and there’s free Wi-Fi, so you can pretend you’re working from home while you’re actually playing pool or darts. Pro tip: skip the food there and order from the Mexican place next door. The Ale House has the menu behind the bar. With four separate and totally distinct tasting rooms, a restaurant (Stone and Embers -- whose chef’s resume includes stints at Bouchon and Gary Danko), and a secret garden, the Madrones is one of those places you could easily stay all day... and night -- because they also have the most impeccable and comfy (yes, both of those things can happen at the same time) guest quarters (some of which allow dogs: woof!). Seriously though, this place is definitely worth checking out. 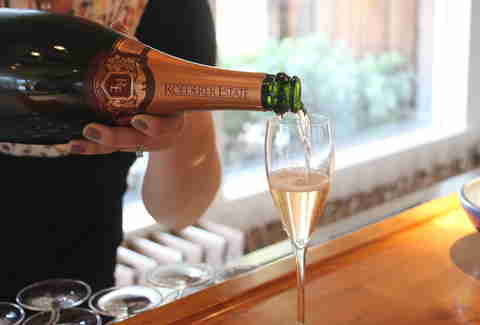 The Signal Ridge and Knez tasting rooms are just two reasons why. Pro tip: keep this spot on your radar because, off the record, owner Jim Roberts and his partner Brian Adkinson just might be expanding to create a new resort next door that will have a spa and... tree houses!!! The Signal Ridge vineyard is at the highest altitude in all of Mendocino, Sonoma, and Napa, and until recently was also home to a fire lookout -- so that the firemen didn't waste time driving down the wrong roads while trying to find a fire. Try all of the wines, then hit Bite Hard Cider (which Signal Ridge also shares the space with). It's probably the best cider (super crisp, not at all sweet, and totally "refreshing" if that’s a thing we can say about a cider that's 6.9% ABV) you’ll ever taste. 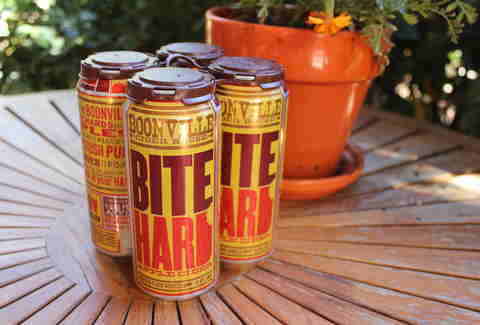 Pro tip: ask to try the Boonville Piment d'Ville chile pepper powder, which is sown, grown, and harvested by locals and tastes good on everything from popcorn to the rim of your cocktail glass. If you’re lucky, they’ll have it baked into a treat for you to sample. 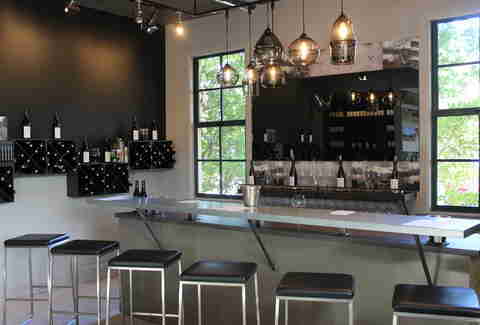 Super sleek and modern, the Knez tasting room feels like the exact opposite of what you’d expect to find at The Madrones, but in a way that totally works. Knez’s vineyards are all organic, but it’s the science they put into the process (something about a maritime-influenced climate? Ask the staff about it; they’ll happily tell you...) that makes these wines so special. Pro tip: ask what they’ve bottled most recently. On our visit, we tasted a 2013 white blend that had just been bottled THAT MORNING. After you drag yourself away from The Madrones, head down the road and stop at Lemon's Philo Market, where you will head to the back and order one of the best deli sandwiches you’ve ever eaten (add avocado -- they magically smash it in a way that makes it even more delicious). 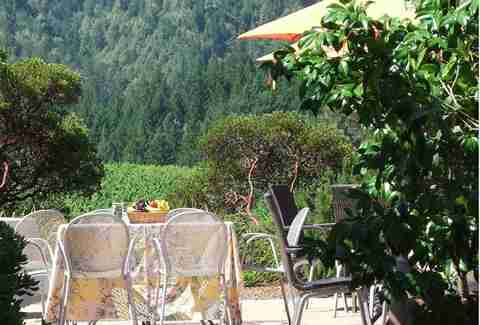 Take the sandwich to go, because you’ll be eating it at a picnic table with sweeping views of Anderson Valley at the Roederer Estate, where you’ll also sample their sparkling wine. Be sure to taste the Anderson Valley Extra Dry, which is only available at the tasting room and was created for the White House. Stop by Lula Cellars for a few things: Jeff Hansen, the most amiable and welcoming winemaker you’ll ever meet; Honey, a sweet dog who will likely greet you as you pull in; and last, but not least: handcrafted, limited-production Mendocino Coast pinot noir. 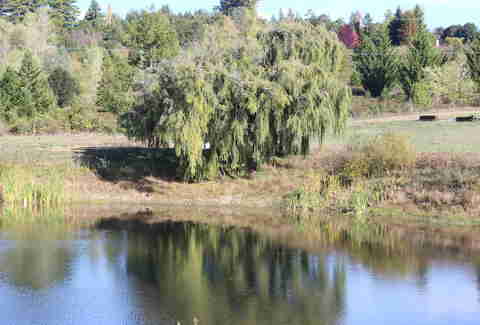 Lula Cellars is located right at the “deep end” of the Anderson Valley, where the climate was basically created for pinot noir growers. Just go and taste. You’ll see. Pro tip: the tastings are free!!! Sometimes, after a day of drinking wine and beer, all you really want is a comfy couch and a classic cocktail. Barbelow is the place to find both of those. Located in Downtown Fort Bragg, Barbelow is set up inside The Company Store, a place that used to sell hardware and groceries to mill workers (history!). Pro tip: if the bar menu doesn’t tempt you, either head upstairs to the Mendo Bistro or have the Mendo Bistro deliver to you downstairs. Oh, and get the crab cakes. 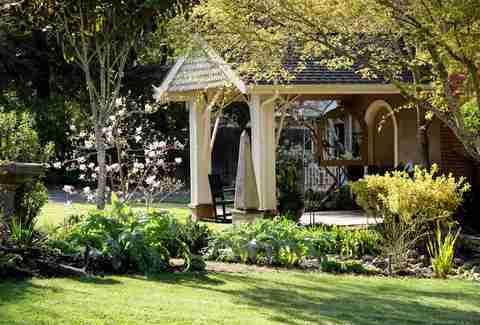 Ocean-view rooms, a day spa, the only golf course on the Mendocino coast, tennis courts, and the ridiculously view-equipped Ole’s Whale Watch bar. Oh, and you can bring your dog. The brunch here is kind of to die for, so make it a priority (order Ole’s Favorite Breakfast). 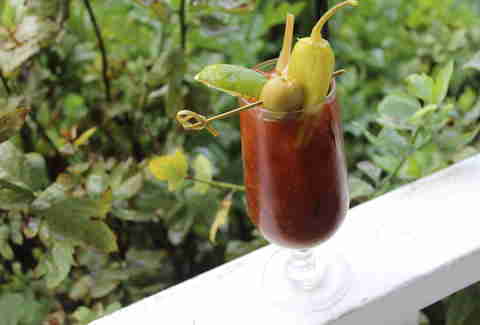 And duh: get the Bloody Mary. It's delicious and you’re going to need it. "Need an extra pillow? No problem. Need a llama? A little more difficult, but doable." Ask them about it, because they’re totally not lying. What if we told you that you could go to one place and find a brewery, a tap room, a beer garden, picnic groves, pygmy goats, people who speak Boontling, AND a disc golf course? 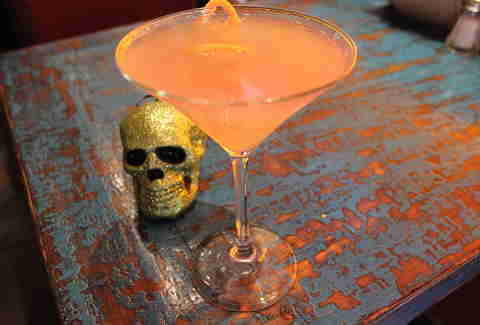 Would you say it sounds like a tidrik (that’s "party" for those of you who don't "harp Boont")? 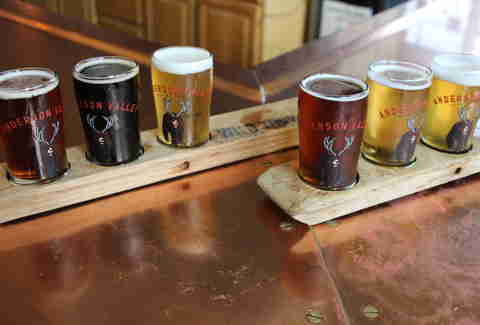 Anderson Valley Brewing Company is basically where dreams come true, because not only do they have all of that, but their beer is also really, really good. Pro tip: order a sample Boont Amber Ale along with the Boont Barl Bourbon Barrel Aged Amber to really get a sense of the subtle bourbon and oak flavors in the latter. And don’t forget to visit the goats. 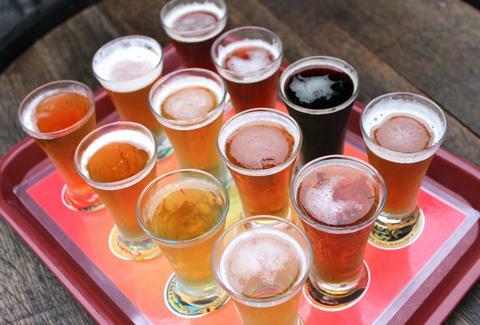 Daisy Barringer is Thrillist's SF Editor and she thinks all samplers should include 18 beers. Follow her on Twitter at @daisy. Bahl Hornin'!